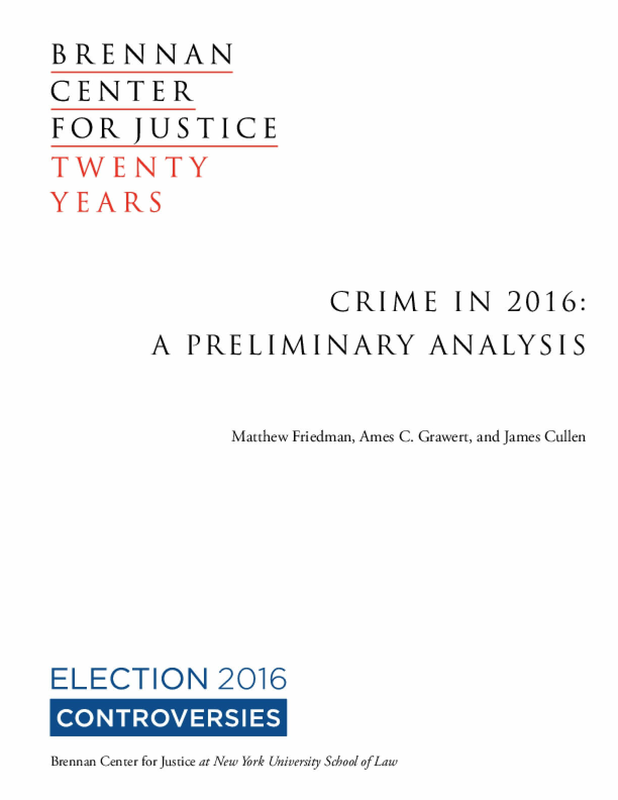 Earlier this year, the Brennan Center analyzed crime data from the 30 largest cities in 2015, finding that crime overall remained the same as in 2014. It also found that murder increased by 14 percent, with just three cities — Baltimore, Chicago, and Washington, D.C. — responsible for half that increase. All told, 2015's murder rate was still near historic lows. The authors concluded that reports of a national crime wave were premature and unfounded, and that "the average person in a large urban area is safer walking on the street today than he or she would have been at almost any time in the past 30 years." This report updates those findings. It collects midyear data from police departments to project overall crime, violent crime, and murder for all of 2016.